There is much more to see our odd little shop than here on the website. Other times by chance, or prior arrangement. Also, we may occasionally be closed due to unforeseen events so, if you are planning a long journey to visit the shop, please contact us first. Website orders taken at any time - dispatch usually within seven working days. Last minute anoucements regarding opening times may be found on our Facebook page. How much is delivery to the UK, USA, Canada and elsewhere? Simply add the item(s) to the basket, go to the checkout, (click on - Review Cart -) and select the delivery country. The postage will be worked out for you automatically. There is no obligation to buy at this point. I placed a order did you receive it? An acknowledgement of your order will automatically be sent to you by e-mail. I did not receive any acknowledgement, why is that? Please check that you gave the correct e-mail address, your e-mail box is not full and that your spam filter has not rejected the e-mail. As soon as your order is dispatched notification will be sent to the email address you have registered with PayPal. Please ensure that your PayPal details are correct and up to date. I placed an order and have not received it yet. Where is it? Online orders are dispatched as soon as possible - often within seven working days of receipt - but at busy times this can take longer. Due to the opening times of UK Post Offices we do not consider weekends or Bank Holidays as working days. Dispatch can also vary depending on stock levels. We make or design everything on this web site ourselves (apart from the historical shirts). We try to make sure we have a stock of everything listed and temporarily remove items we need to replace, but occasionally if we have a run on a particular item we may we have to make more to fulfills an order, this may take time, so please have patience. I have just received an e-mail notifying me of dispatch. How long will my parcel take to arrive? First class mail in the UK should arrive next day, but can take up to a week or more. Unfortunately, this is out of our control. Royal Mail 'International Signed For' estimates are three working days to Western Europe, four working days to Eastern Europe and five working days for the rest of the world. However, once out of the hands of the Royal Mail delivery depends on your local postal service. I paid by PayPal, where is my order? All orders paid for by a PayPal account are dispatched to the customers PayPal registered address. If this address is unconfirmed we will e-mail you at your PayPal registered e-mail address to check that your order has been authorised by you. Unconfirmed addresses are the most common cause of delays. I have just placed an order, can I come and collect it? 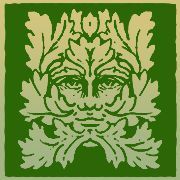 I recently visited your shop in the Forest of Dean and saw a mask/sculpture/something, but I cannot find it on your website, where should I look for it? We make many individual one off pieces and we do not want these items to appear in two places and risk the possibility of selling the same item twice. Other items are sold before we have time to upload them. So, unfortunately, we cannot list everything we have in the shop on the web site. However, if you let us know what you are looking for, we would be happy to e-mail you photographs and details. Yes, but this option is only available if you are in the UK and the cheque is in UK Pounds Sterling drawn on a UK bank. Cheques must be received with a copy of your order and your full postal address. Unfortunately, we do not have a catalogue, although it would be fun to design one, we probably won't. This web site shows much of what we do, to see everything visit our shop. I'm a retailer, wholesaler, can I sell your products? In a time when there are far too many shops selling the same mass-produced goods, it is our aim the be original and different. We prefer to retain our individuality and offer our personal customers unique products which can not be found elsewhere. As we hand make most of our items ourselves, we simply do not have time to make them for others to sell.